Successfully Added 50Watt LED Grow Light - Red, White, And Blue LEDs, 50000 Hour Life Span, 2900 Lumen to your Shopping Cart. This 50w LED grow light holds 225 powerful LED lights that emit different types of red, blue, and white light. By applying the right type and color of light this LED growth light boosts the photosynthesis of your plants, significantly increasing their growth and yield. With a working time of over 50,000 hours you can be assured that, with this LED growth light at your side, your flowers, fruit, and vegetable yield over the coming years will reach stunning heights. When it comes to growing your beloved flowers or vegetables inside or at a place with limited sun light, you may found that the natural light provided to the plant is not enough for it to grow. In this situation, LED growth lights are there to offer a helping hand by letting you supplement any natural light with artificial light produced by its LEDs. Emitting blue, red, and white light at different frequencies this magnificent grow light is capable of stimulating all your plants and offer the exact same benefits as regular sunlight even in an otherwise pitch black room. 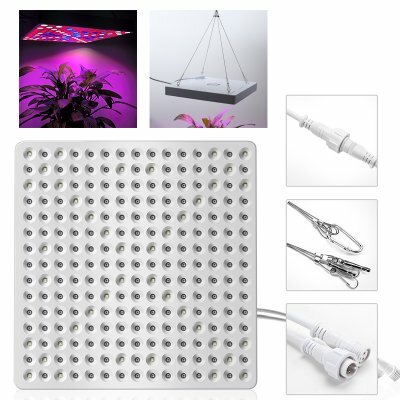 The possibility to connect multiple of these LED growth light panels together allows you to cover a large area of soil and flowers by using just one power supply, ensuring that no matter how large your growing room is - with this growth light all your flowers will equally receive the needed light for them to grow and flower. Producing up to 2900 lumen this growth light panel features different wavelengths for its different LED colors. 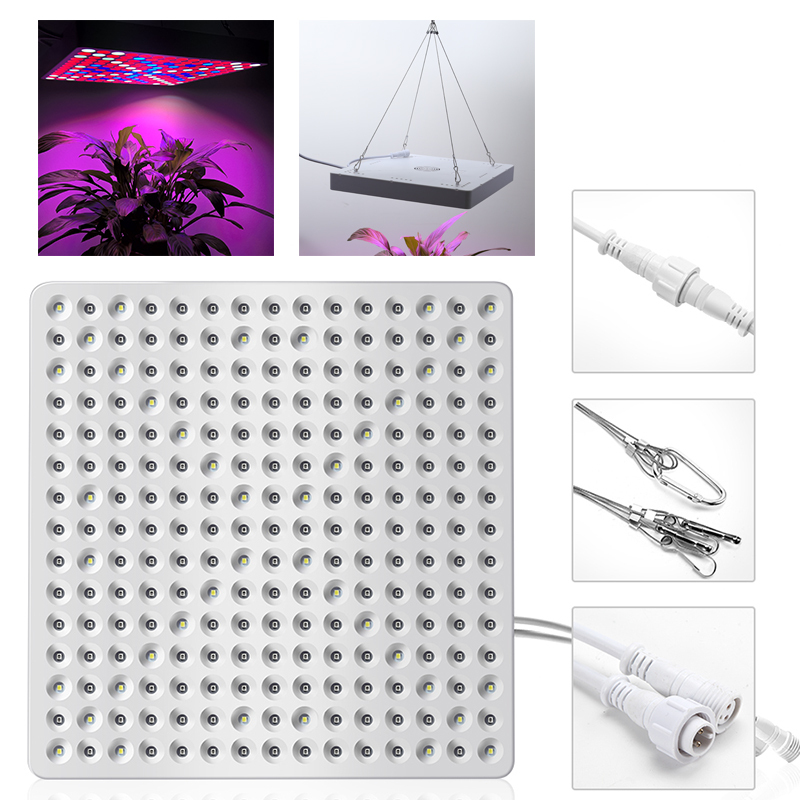 At 450 – 460nm this LED grow light produces blue light that helps your flowers to peaks their absorption of chlorophyll which promotes strong photosynthesis and vegetative growth. This wavelength is especially good for young plants, seedlings, and growing roots. At the same time the red LED’s emit light at a wavelength of 620-630nm, supporting your plants to flower and produce fruits in a strong and natural manner. The ability to apply red, blue, and white light at different wavelengths gives you the possibility to target the different needs of plants growing, flowering, and fruiting. So no matter whether you are growing fruits, vegetables, roots, or flowers – with this energy efficient LED growth light you will be assured that your plants will reach their full potential and deliver magnificent yields. Arabic: - الصمام ضوء النمو - Chinese Simplified: - 植物生长灯 - Czech: - LED Grow světla - Dutch: - LED licht van groeien - French: - Élèvent la lumière LED - German: - LED Grow Light - Hebrew: - LED לגדול אור - Hindi: - एलईडी लाइट की वृद्धि - Hungarian: - LED Grow Light - Italian: - LED coltiva la luce - Japanese: - LED の成長ライト - Korean: - LED 성장 빛 - Malay: - Lampu LED Grow - Norwegian Bokmål: - Øk lampe - Romanian: - LED-uri cresc Light - Russian: - СИД растет свет - Spanish: - LED crece la luz - Thai: - ไฟ LED เติบโตไฟ - Turkish: - LED Grow ışık - Vietnamese: - Đèn LED phát triển.